Raffi is back! After 12 years, this children’s troubadour returns with his new album, Love Bug, which is filled with his rich voice, and uplifting positive messages. Raffi’s music was a major part of my childhood and is now a part of my daughter’s childhood which makes for a nostalgic listening experience. I had a chance to speak with Raffi about what he’s been up to since his last album, the significance of songs on Love Bug and how they relate to the role of technology in early childhood, and just who Raffi is, beyond the music. Kids Can Groove: Congratulations on the release of Love Bug! My daughter and I are getting so much out of the messages mixed within the songs on this album. Compared to previous albums, Love Bug feels like a culmination of your experience and the projects you’ve been involved with over the years. It’s as if were inspired by these efforts and then moved to create a new album that reinforces the meaning behind these causes. Raffi: I appreciate you saying that. I think Love Bug represents an evolution of both Raffi, the children’s advocate, and Raffi, the children’s troubadour. With Love Bug, I think you’re seeing and hearing a blend of the two which you might say is true for all my albums. If you go way back to the Baby Beluga album there was a song on there called “All I Really Need,” and it had a beautiful message: “All I really need is a song in my heart/ Food in my belly/ Love in my family,” so I’ve been sprinkling positive messages in my songs throughout my career and we might say even moreso on Love Bug, which is all about love in the real world; the human touch and the connections with nature, whether it’s water in the well, or the doggone woods. So there are songs that make you laugh, songs that make you think, songs for little kids to groove with and enjoy, and songs for kids and parents to enjoy together. I’m so happy with the feedback I’m getting with Love Bug so far. We had a wonderful new 5 star review on Amazon.com and it just made me smile. KCG: With all of your experience and recognition, you still remain humble and I think that’s a testament to how you move through the world, creating and participating in things that speak to your heart. Your positivity is conveyed to children through your music. Raffi: Thank you. For all of us, the opportunity is to grow in our personal lives and grow in our capacity to love, and to love respectfully. Whether it’s in songs, or in parenting, this is what we’re able to cultivate and practice in our daily life, allowing us to grow into conscious beings. Raffi: Well there are many aspects of me. There is the musical Raffi, where the music is very strong within me. In fact, I missed writing new songs and sharing them with the world, which is what led to the Love Bug recording after 12 years. There’s also Raffi, the thinker. It’s not that you can separate these aspects but since 1997 I’ve developed a philosophy called “Child Honouring.” In 1999, I wrote 3 paragraphs for a piece called “A Covenant for Honoring Children,” which was inspired by The Declaration of Independence, actually (laughs), the beginning of which says “We find these joys to be self-evident that all children are created whole.” In 2006, I published an anthology of essays called “Child Honouring: How to Turn This World Around.” I co-edited that volume and I wrote the introduction and the concluding chapter. I love the various hats that I wear, whether it’s essay writing or blogs, which sometimes I write for Huffington Post and others. I wrote and published a book last summer called “Lightweb, Darkweb: Three Reasons to Reform Social Media Before It Reforms Us” and I highlighted the very important issues of young users being safe when they’re online. So in these various ways I enjoy being the children’s advocate that I can be because, especially in this digital era, I think children face different challenges than before, and the same goes with parents. If I can come back to Love Bug for a moment, you might say Love Bug is the first Raffi CD of the digital era. We’ve only had social media for 10 years but it’s so changed the way that kids, teenagers anyway, communicate with one another. [Technology] has changed parenting in the sense that parents have to be aware of what their kids are doing online, now keeping track of them in two different worlds. I wanted Love Bug to be an album that fully celebrates the real world, and to remind us of what our foundational experience is. I am glad I had a chance to do that. KCG: Social media is definitely a whole different animal when it comes to how we relate to one another these days, and I think that applies to all ages. At the same time, technology is becoming a greater force in our children’s lives. For example, more educational games are being created and some schools are even starting to integrate the use of devices as part of work in the classroom. Do you feel there are benefits when technology is used in this regard? Raffi: In my “Lightweb Darkweb” book, I refer to myself as a tech enthusiast and critique social media and infotech from this position as well. The benefits are there for sure but you have to think about what the downsides are, too, of offering infotech to children at certain ages. The American Academy of Pediatrics and the Canadian Pediatrics Society both advocate no screen time for children 2 and under and I wholly agree with that. They advocate very limited screen time for kids 3 and up, and I agree with that as well. Screen limits are really important because when you’re a little child you’re experiencing what it is to be human. There are deeply important processes forming in the brain, the mind and the heart of a young being. What it feels like to be alive, to be human, is best experienced, nourished and cultivated in the real world of active play and exploration with caregivers, family members, and friends in real life. Three-dimensional marvels of the elements of the real world, whether it’s sand, water, mud, rain puddles or a sun beam through glass allow young children to experience the rhythms of the real world before they are bombarded with the hyper-fast flat simulation of virtual reality that infotech offers. It’s important to say why that message, that advice is being given, because as I said, we need to have children exercising their imaginative capacities in their early years. There’s no benefit, no leg up, to a child getting to use infotech at an early age. Technology will change, it changes every couple of years, and it takes no skill to use it. What takes skill is interpersonal relations and “emotional intelligence,” which is one of the 9 Child Honouring Principles, by the way. Emotional intelligence is the work of the early years. We want our children to be deeply capable thinking and feeling beings, and that is best practiced with active play free play and the interpersonal relations of those who love the child. KCG: How do you see music integrating into this philosophy? Raffi: Well, music, songs, that engage a child can be wonderful just the way an illustrated book can be a marvel for a child. When you’re sharing a book with pictures, those pictures come to life through the child’s imagination. It is the child’s mind that is making those pictures move which is a beautiful thing. A song does a similar thing, especially just the audio. “Audio only” gets the mind making up pictures based on the words and that is also beautiful. KCG: Do you think that music also has the ability to effect change? Raffi: Well, the music is only a catalyst. It’s the young child’s experience of and response to the music that is making the changes in their brain and to their ability to express themselves. Maybe the child is singing along to “Love Bug” and the song is inspiring the child to hug mommy, daddy, brother or sister because of the lyrics referring to where the hugs come from. What is happening of value in that example is in the response to the song. KCG: What was your childhood like? Were you exposed to music when you were growing up? Raffi: I was! I appreciate your question. I was born of an Armenian family and my birthplace was Cairo, Egypt. My early musical influences started with my father who was a very fine musician and a great singer. We used to love it when he sang at family parties. I also remember hearing the radio playing both the music of Cairo, which is the Arabic music, a Middle Eastern, rhythmic, festive kind of music, as well as European music. I had no screens in the first 10 years of my life and I think I ended up doing rather well (laughs). I’m very happy for that. Later on, when I was about 13 years old, I joined the Armenian church choir in Toronto. I’d like to go back to the point I made a moment ago, which is that you don’t need an early introduction to technology to do well with it. I didn’t start emailing until I was 50. I didn’t start on Twitter until I was 62, and I think I do fairly well on Twitter. I think there’s a lot of benefit to waiting. KCG: When you were young did you think about becoming a musician? Do you remember the defining connection that prompted you to begin making music for children? 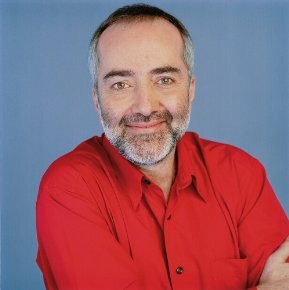 Raffi: When my album Singable Songs for the Very Young was produced in 1976, it was so instantly popular that it made me think “Hmmm, maybe I have a gift (laughts) to make music for children.” As I played over the next two years, I was singing in nursery schools, libraries, as well as coffee houses. So many families came to see my children’s music that within two years I decided to concentrate solely on that. As of January 1979, I was a devoted, dedicated children’s entertainer. My autobiography, “The Life of a Children’s Troubador,” details the transition from being a folk singer, which was in the early 1970s, to children’s entertainer. The transition took about 2-3 years. KCG: I suppose I asked the previous question because you have devoted a lifetime to being a children’s advocate through the Child Honouring philosophy, as well as making music for children. I’m interested in hearing about the passion that continues to drive you to be involved in these various aspects. Raffi: Well, it’s my love of life and my love of children and the unique beings that they are. I often say a child is the best of who we are because the child is spontaneous, joy filled, pleasure seeking and meaning making. The child is the human explorer, the universal human. Infants, of every culture, regardless of skin color, ethnic origin, or social standing, are the same physiologically beings and it’s there that we see how much human families of diverse cultures have in common. These similarities inspire us to love one another, to cherish our differences not to fear them, and that’s a message that we need to hear and practice more and more as we hear disturbing accounts of violence around the world, whether it’s in the Middle East or elsewhere. The society that births children needs to be a child honouring society, one that respects the very young for the whole people that they are and the innate brilliance that they’re born with. KCG: The song “Seeing the Heart” seems to speak to what you are saying here. You refer to a child drawing a “hate outtake valve” which just really underscores that children tend to see a world full of love and beauty and wonder. Can you talk more about that song? Raffi: The song “Seeing the Heart” was inspired by a drawing made by friend of mine named Tania Godorojia, an artist and art teacher. She drew a black and white drawing of a human heart and her then 10-year-old son, Serge, came to his mother’s drawing without any prompting and started labeling various portions of it with words like “pump of flowing happiness,” “hate outtake valve,” “ridge of forsight.” He called the whole thing “The Mind’s Way of Seeing the Heart.” It was an astonishing array of words by a 10-year-old and then I thought it was such a striking combination of mother and son connection that I made that song about that drawing. KCG: Since your last record did you continue writing songs? Raffi: I did, I just hadn’t recorded a children’s album. I wrote a song called “Cool It” about global warming, and a number of individual songs, but they weren’t really for children’s albums so to speak. KCG: You performed for Nelson Mandela. Raffi: That one we did include as the bonus song on this Love Bug album. [Nelson Mandela] was such an inspiration. He’s humanity’s hero and I loved singing this song for him. He stood up to shake my hand. It’s moment i’ll never forget. KCG: How do you feel Love Bug came together for you? In any different way than your previous albums? Raffi: Actually, it came together easier than any album in the past. I think I was so ready (laughs) after 12 years to do this and the songs came beautifully and very easily. The whole thing flowed. It was so enjoyable that I’ve got another album planned for next year. KCG: So we can expect some more Raffi. Raffi: Oh! You bet! I’ve only just begun! KCG: Are you going to be doing live performances? Raffi: Yes, I will be doing select concerts. We will be posting information on http://raffinews.com. People can also follow me on Twitter or my Facebook page. There will also be information at http://childhonouring.org. KCG: Great! Thank you for your information and time! Raffi: My pleasure. Thank you very much.